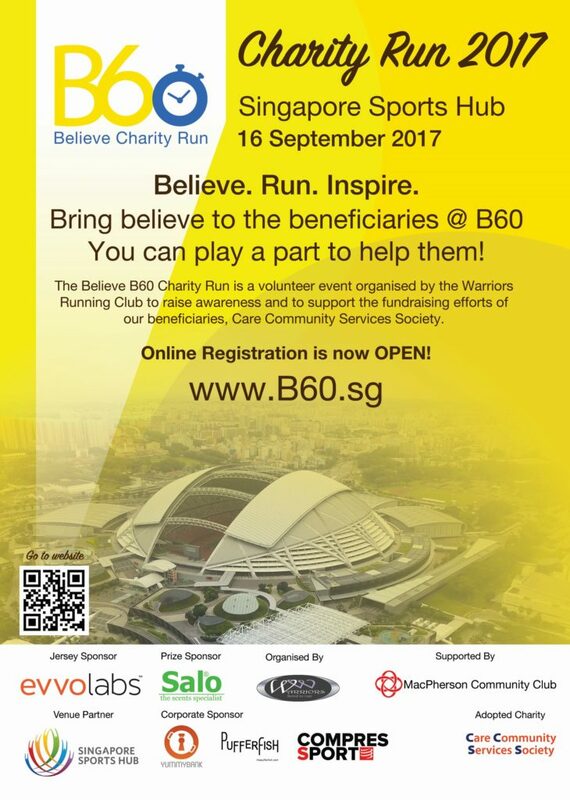 Returning for the 4th time is the Believe B60 Charity Run that will be taking place on the 16 September 2017. B60 believes in helping disadvantaged families, elderly folks and children from broken families, and this year, the charity run is collaborating with Sports Hub in their community Play Day. 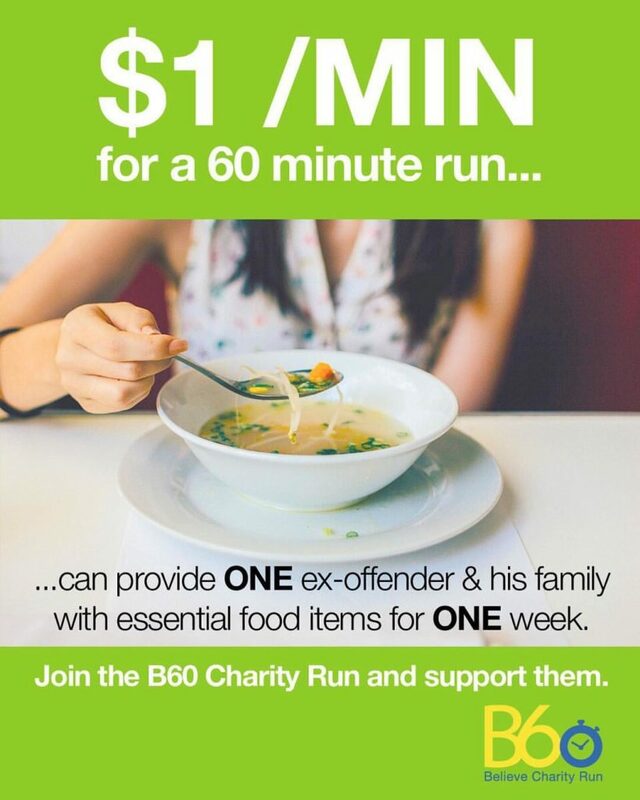 The B60 Charity run is a 60-minute fun run where participants are required to fun run or walk for a duration of 60 minutes at their own pace. By doing so, you will not only be donating and helping charity, but you will also be benefiting your health. The 60 minutes fun run will be split into 3 sections. 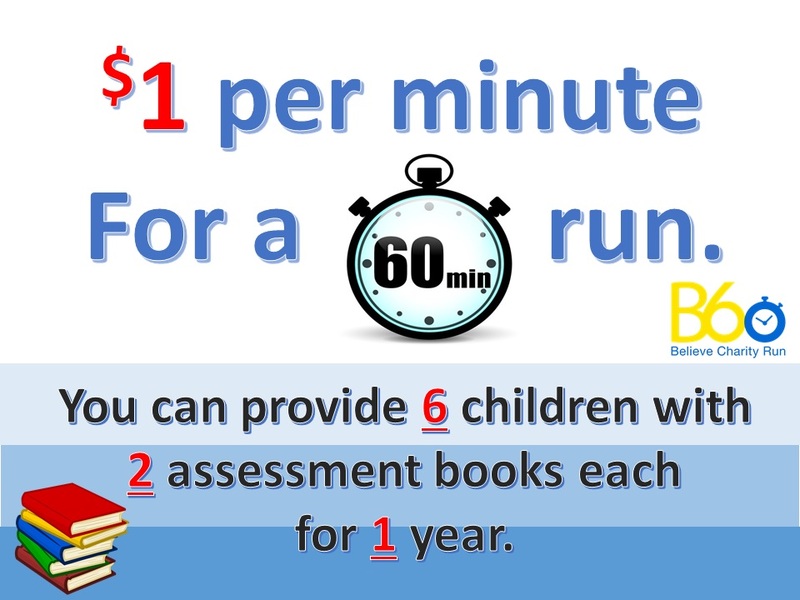 Fun run 1 : 7 a.m.
Fun run 2 : 8 a.m.
Fun run 3 : 9 a.m.
CCSS SAC Elderly fun walk : 9 a.m. 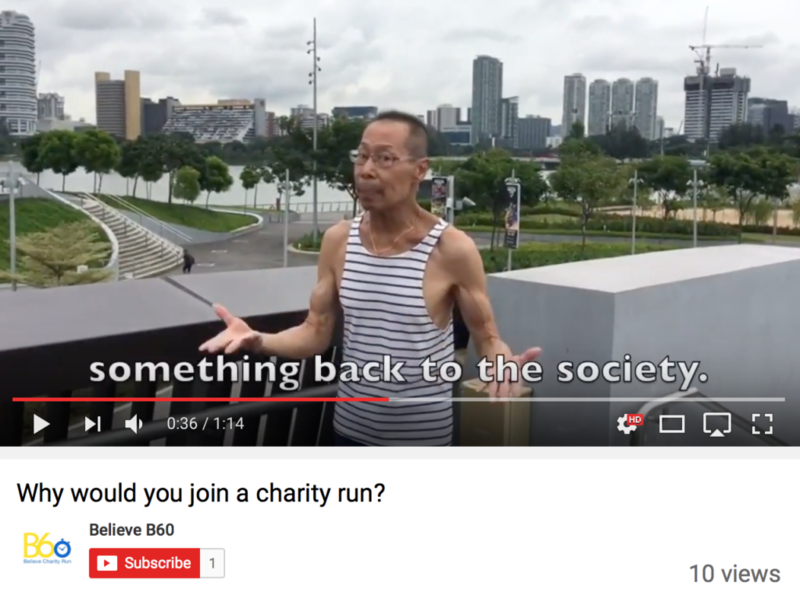 If you have a passion for running and charity, joining the Believe B60 Charity Run will allow you to do both and it is a great way to give back to society. A brightly yellow coloured and breathable jersey that is perfect for running in hot weather country like Singapore. A bag to store your valuables. You can even bring it on a picnic trip or bring it along to a school’s excursion trip( If you are a student). Drawstring bags are also very sporty looking and have been popular recently. A soft towel to wipe your sweat after the run. For more discounts on Compressport merchandises. This voucher will help you to save a lot if you are thinking about getting wearables from Polar. And 100% of the money will be donated to charity under the care Community Service Society (CCSS) to help individuals and families. A school based student care centres that cater mainly to low income and/or single-parents families. Here, the centres provide care and supervision for children after school when their parents are working to create a safe and nurturing environment for the child. The Seniors Activity Centre (SAC) reaches out to elderly living in rental blocks near the centre. The centre seeks to engage the elderly actively and empower them with a sense of purpose. This caters to ex-offenders and their families and helps them to start life a fresh such as providing them with essential food items. CARE Youth aims to inspire and create a positive change in the lives of youths through school-based social work. To help these youths to discover their potential within and rise above challenges to achieve their fullest potential. Apart from the fun run, there will also be other fun sports activities that you can participate in after the run inside the National Stadium organised by Sports Hub Community where you can spend time with your family and friends. Your donations can make a difference. Registration will end on 25 August 2017.